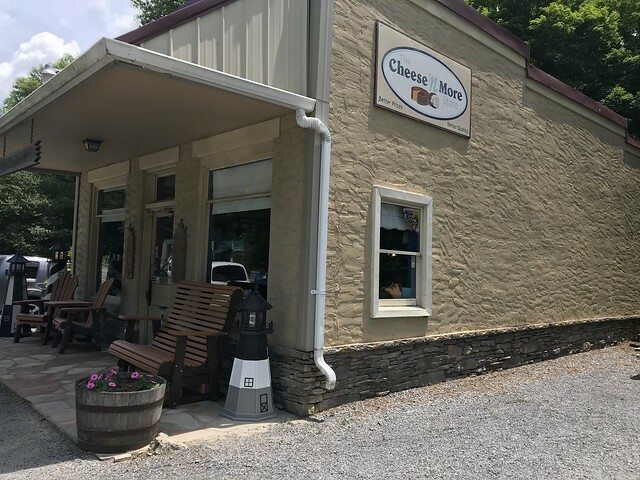 Gap Mills has two little gems right across from one another: a delicious bakery and Cheese 'N More, a store with a little bit of everything. 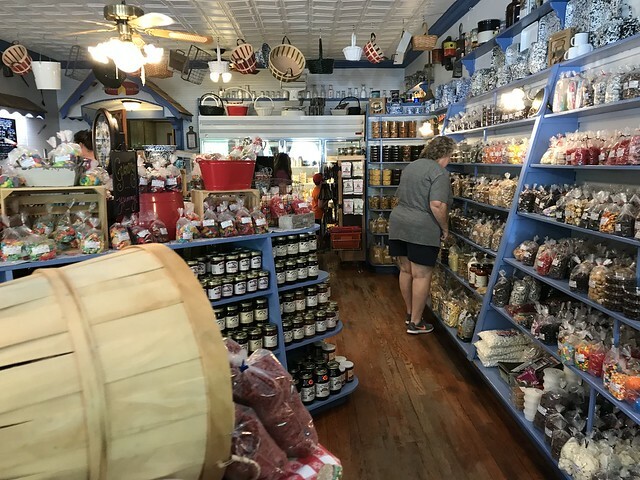 The front portion of the store sells all sorts of jams, jellies, and other condiments. 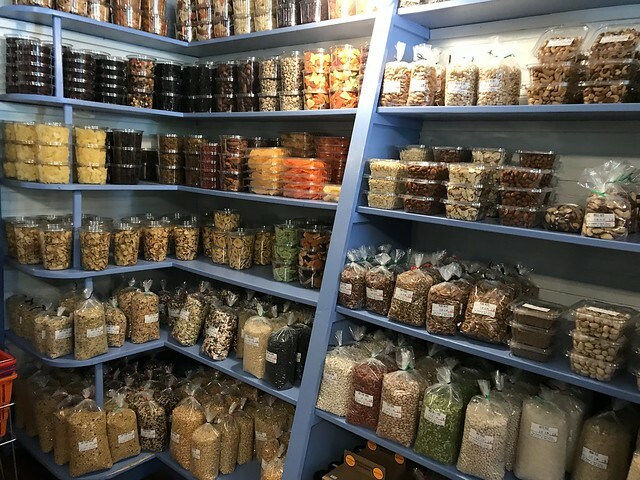 Plus bulk candies and other goodies. I always love being able to buy a whole package of just red gummy bears or other unique candies you can't find everywhere. These are perfect snacks for a roadtrip! 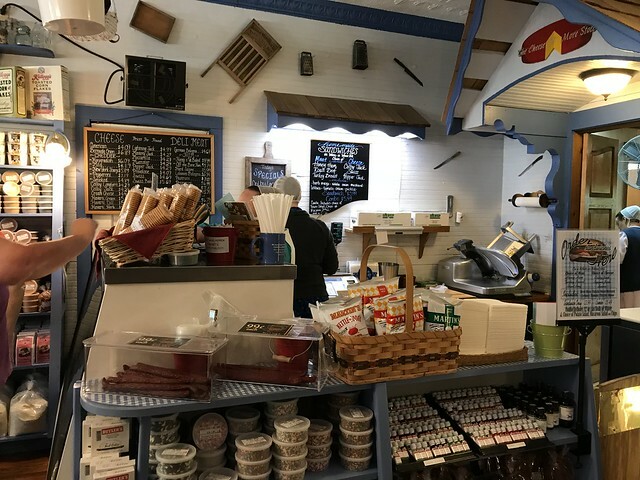 Toward the back, they have a deli counter where you can get delicious cheeses or even get a sandwich made! 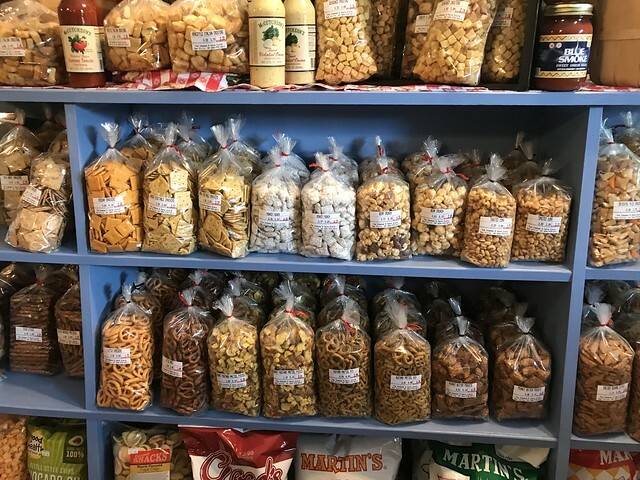 I wanted to pick up just a couple things - first, the cheese. 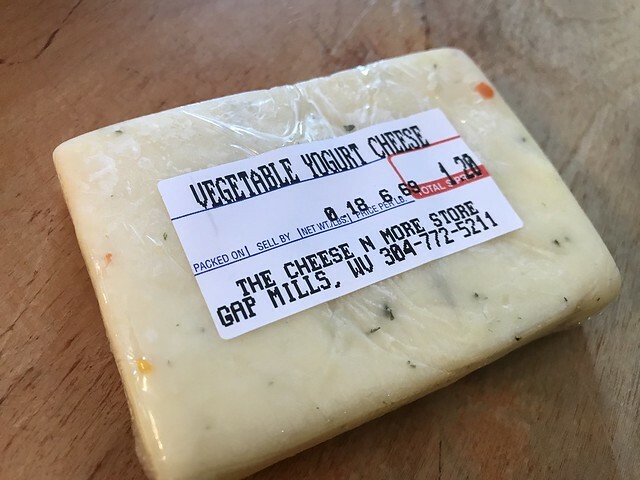 I tried a vegetable yogurt cheese. 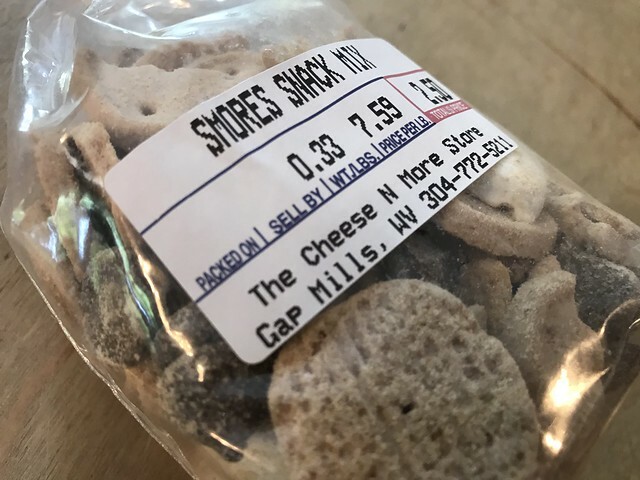 And, I got this s'mores snack mix! 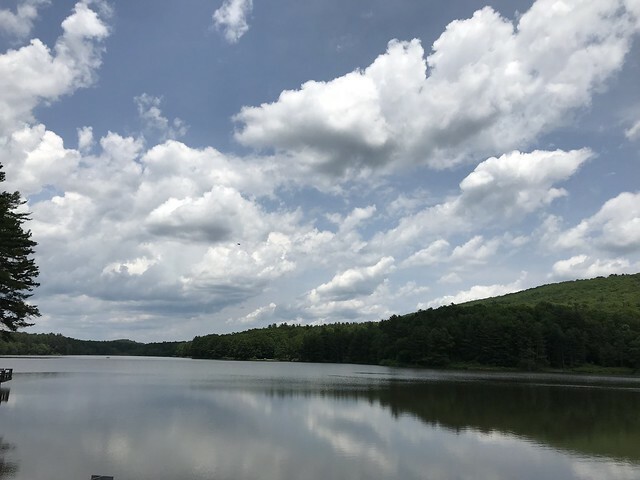 And, I got to check out Moncove Lake while there! Have you been?